ALDERGROVE, British Columbia — The Greater Vancouver Zoo is excited to introduce you to our new cougar cubs, Rocket and Rosie. After weeks of recovery and closely monitoring the health of the rescued cubs, the Zoo is proud to officially celebrate the juvenile cougars as the latest additions to the family. The cougars’ journey to the Zoo started earlier this year. Firstly, the orphaned male cub from Williams Lake was transported to the Zoo by the Conservation Officer Service (COS). Immediate care was administered by the Zoo’s Veterinarian and Animal Health team to the underweight and dehydrated cub. The male cub has made a speedy recovery and has steadily grown in strength and size under the continued care of the Zoo team. Shortly after, a female cougar cub was released to the Zoo by the COS after a stay at Invermere Veterinary Hospital, where caring staff nurtured the female cub from injuries sustained after being hit on the road. Both cubs are now healthy and doing well at the Zoo. View the adorable pair at the Cougar Enclosure located in the North American Wilds section. Cougars are the second largest cats in the Americas. Like most cats, cougars are solitary by nature and are extremely elusive in the wild. Cubs can remain with their mothers for up to two years to learn how to survive and hunt efficiently. 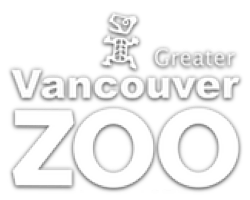 Since 1970, the Greater Vancouver Zoo has been dedicated to preservation, conservation and the protection of endangered species. Home to over 140 native and exotic animal species on 120 acres, the Greater Vancouver Zoo is the only zoo destination in British Columbia. The Greater Vancouver Zoo supports conservation efforts by actively participating and supporting new and existing projects through captive rearing and animal husbandry as well as through in-kind donations and fundraising efforts. In 2015, the Zoo was honoured to win Peter Karsten’s Conservation Award for its work with the endangered Western Painted Turtle. The Zoo is a member of Canada’s Accredited Zoos and Aquariums (CAZA). For more information, please visit www.gvzoo.com.